Who hasn’t had one of those jobs that made you miserable just thinking about it? Luckily, we have it pretty good here at Printsome, but we’re very well aware of how toxic a workplace can be. Simply put, there are employers out there who could care less if their employees are content or not. It’s been proven — happier people make more productive employees! While having a happy workforce does make an office a nicer place to be, it can actually also result in monetary benefits for a company. To help you in this task, we’ve researched a bunch of little things that employers can do to make the time at the workplace a more joyful one. Don’t worry, they’re not massive overhauls; instead, these are small, actionable tips that hopefully you’ll find useful. Are you ready to be on your way to having happier employees? Let’s go! 1- Help them have careers rather than jobs. Things like training and mentoring can help employees feel happier – and stick around for a long time. 2 – Think about what you’ve most liked from your past jobs and employers. Then, see how you might be able to apply something similar at your own company. What was important to you as an employee rather than an employer? 3 – Honesty is the best policy. Employees really value transparency in a company. This doesn’t mean you have to tell everyone everything; it just means employees want to know what’s truthfully going on. 4 – Have office spaces set up so employees can socialise easily with each other at break times. 5 – Make your expectations clear. This might be as simple having to produce a certain number of products a day, or it could be some more complex long-term goals. Either way, having clear expectations about what people are supposed to be doing makes it easier for them to, you know, actually do it. 6 – Have work-life balance options. As an employer, you may not care too much about what your employees do outside of work. But ensuring that they are able to have lives outside of work is a key step in helping them feel satisfied on the job. 7 – Reward a job well done. It doesn’t have to be a big rewards; something like a dinner coupon, tickets to a sports game, or a random Friday off can help. 8 – Create a health program. Healthy people in general are happier and more productive, so brainstorm ways your company can help your employees to be healthier. 9 – Make the big picture clear. Avoid flow charts and jargon, and just simply communicate to your employees your company’s values and goals, plus how their work is part of that. Help them to understand the company as a whole, not just their part in it. 10 – Offer flexible working options. So many jobs can be done remotely now, so see if you can help your employees’ schedules become a bit more flexible. Maybe people with young children could shift around their hours a bit to help make picking up and dropping off the kids a bit easier, for instance. A study by Georgetown University Law Center says this is something 80% of workers would like. 12 – Try to match your office physical space to the culture you want to create. If you don’t want people to be distracted, maybe don’t fill your office with all those trendy fun things. Or if you do want a more relaxed environment, give people lots of spaces where they can be social. 13 – No more meetings! OK, maybe not no more – but really try to keep it to the essential ones here. Nobody likes having to have a meeting for pointless things. If you have meeting, keep it succinct, focused, and structured. 14 – Cut back on email. Just about everybody gets too much e-mail these days. See if you can send fewer e-mails that are only for really important stuff. For everything else, talk to the person face-to-face, or give them a call. Tools like Slack (the one we use at the Printsome office) are also helpful here. 16 – Use feedback to teach people, not punish them. Figure out a positive way to help people improve — not use feedback chances as a time to let them know about everything they’re doing wrong. By the way, did you know that T-shirts are also a great way to introduce yourself and your business?? Printsome’s T-shirts are perfect for souvenirs, merchandise and staff uniforms, among many other possibilities. Visit our website to find out what we can do for you. 17- Let your employees know why their work matters. It’s nice to feel like you are important and your work matters. Even the person with the lowest position in the company contributes something — so let your employees know that. 18 – Publicly recognise a job well done. 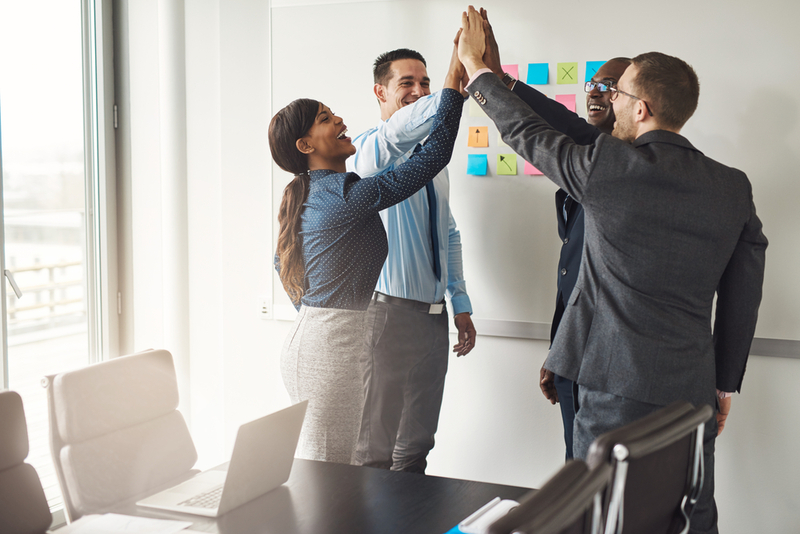 Not only does the praise help the employee who’s done a good job to feel good, but it also sets a standard to motivate other workers, too. 19 – Be the person who takes the lead in employee socialisation. Ask people to have an after-beer drink, or make a real effort to learn everyone’s names and ask how they are. 20 – Take employees’ input into consideration. Nobody likes being asked for their opinion just so the company can go through the motions. 21 – Treat people like responsible, adult employees – which they are – when it comes to bad news. But a lot of bosses choose to avoid discussing tough topics, which just makes things harder in the long run. 22 – Pay people fairly for their time and effort. The very worst type of job is one that’s an endless grind for low pay. Scrimp here and you could be seeing very high turnover. 23 – Consider having a results-oriented work plan. What this means is your employees can set their own work schedule – as long as they turn in their work on time and done well. Best Buy did this and saw a 35% increase in productivity. 24 – Don’t overvalue perks. 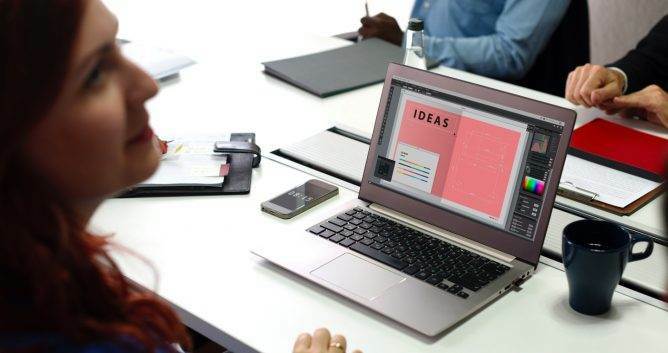 They’re really trendy right now, especially in the tech world, but they should be used as nice extras rather than substitutes for a healthy work environment. If you can have a rock climbing wall in the office, that’s great – but it doesn’t replace have shoddy benefits. 25 – Built a sense of ownership. 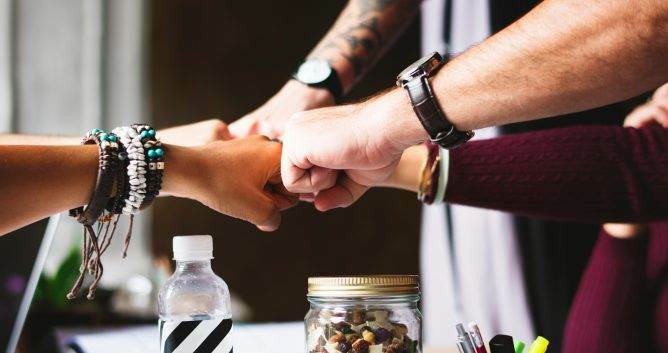 If you can help your employees feel like they form a real part of a team and are really part of the product or service being sold, that’s the gold standard of them having a sense of ownership. In other words, if they feel like it’s theirs, they’ll be more involved. 26 – Help employees get off-the-job training that’s relevant. This relates to our earlier point about helping people have careers; it also helps employees feel valued and like the company cares about their future and well-being. 27 – Respect your employees. With the worldwide economy slowly teetering out of a very rough patch, a lot of companies are still operating on the philosophy that employees are a dime-a-dozen and can be replaced at a moment’s notice. This is a pretty disheartening way for employees to be treated. 28 – Create an atmosphere of trust. This relates to our previous point about the recession. A lot of people are afraid that they will be fired tomorrow. Work on creating a place where they feel trusted and that they can trust the people in charge. 29 – Keep an eye out for talent. Maybe you hired somebody for Position A, but they have a lot of skills you think could be honed into something bigger down the line. Acknowledge their talent, and they may end up sticking around for a really long time. 30 – Don’t have people do the same boring stuff over and over again. Nobody likes being stuck doing boring, repetitive tasks. See if you can push people to expand their skill set and work on new challenges. 31 – Avoid contacting people when they’re off the clock. Not too many years ago, can you imagine if your boss called you all weekend long with work-related stuff? That would definitely have been crossing a line — but it’s often what happens with emails today. If it can wait until Monday, do just that. 32 – Give employees the chance to step back and take a break. Some people feel like they can literally never take a break at work, but breaks are actually good for helping people come up with new, innovative ideas and avoid getting burned out. Encourage break times during the work day. 33 – Don’t be afraid to act like the boss. You are the person in charge, so that means you’ll never be quite on equal footing with your team (even if you’d like to be best friends with them). It’s confusing for employees when the person who has been buddy-buddy with them goes to being the very serious boss they’re in trouble with. That rounds out our list of 33 small tips you can use to help keep your employees happy. In general, it really isn’t as challenging as it might sound. When in doubt, remember the Golden Rule — treat people as you’d like to be treated — and you’ll be well on your way to having a happier and more productive workforce. And to complete this list, we think some examples of real companies could help so here we go! If you’re unfamiliar with Asana, you’re missing out on a great work tool! I have used it and can’t complain. Asana is a web and mobile tool that gives you a platform to do team work without using email. It was founded by Facebook co-founder Dustin Moskovitz and ex-engineer Justin Rosenstein. They launched in 2011 and it has just skyrocketed, with a value now at an estimated $280 million according to The New York Times. 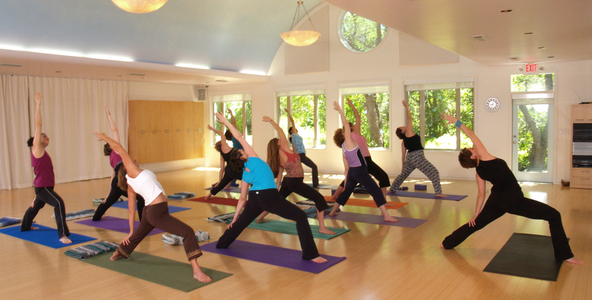 One of the great office perks that keeps Asana employees happy is their on-site yoga for all employees. They let you bring a friend along, and they also offer one on one yoga sessions with a private instructor. It makes a lot of sense—‘Asana’ in Sanskrit means, “to sit down,” and is a term for yoga poses! No one can deny that yoga keeps employees happy by raising their moods. This is something that employees at Gibson’s, known for making great guitars, could really use. Employees there complain that work is like walking on eggshells every day due to their CEO’s permanently irritable mood. Come on, Henry! Netflix has certainly risen in the last few years, growing from an online video club sending DVD to homes around the U.S., to producing their very own successful shows like House of Cards, starring Kevin Spacey. Netflix does not believe in the 9 to 5 schedule, and their core value emphasises “Freedom & Responsibility”. So, Netflix keeps their employees happy by letting them work their own hours. They don’t get micromanaged on working hours or vacation time. It is their accomplishment in the job that gets evaluated. But if they abuse this incredible office perk, they can kiss Netflix goodbye; after all: “you gotta get it to get it “. Surely, Dish Network (DISH) employees would take this “no schedule” benefit in a heartbeat. For though DISH counts over 14 million subscribers, it was rated in 2012 as one of the worst and meanest companies to work for in America. Unhappy Dish Network employees quit due to the long working hours, no paid holidays and mandatory overtime. I guess when it comes to their employees it’s most definitely not “better TV for all”! This San Francisco-based web hosting company came out of the minds of three 22 year old college students back in 2006. Their success has been so huge that they now have over a 600 employees. 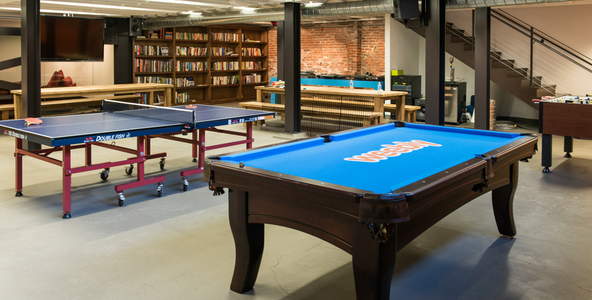 Weebly employees enjoy some formidable extras like a fully-equipped jam room, complementary massages, in-office gym and yoga, etc. They also get their own company credit card to be used for anything they may need during their working hours. A daily opportunity for a shopping spree—that is one benefit I’d take any day! A company like United Airlines can absolutely learn something from Weebly when it comes to employee appreciation. They even have a deplorable stance to customers sometimes. Employees at the big American airline feel pretty low value because there is no job security and the company’s pay scale system seems to be uncertain. If they can’t get that right, office perks might even come across as simply insulting! Zynga’s statement of “connecting the world through games” can’t be truer, since their games are everywhere. This San Francisco-based tech company came into the light in 2007 with their famous Facebook game FarmVille, and history was made. As you can imagine, it can’t get much cooler than working for an online gaming company! Arcade games anyone? 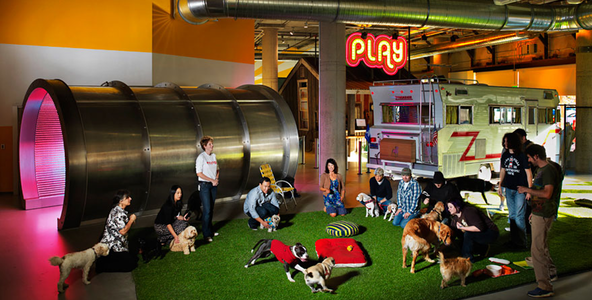 But Zynga surpasses expectations when it comes to keeping their employees happy. Their “Zyngites”, as Zinga called their employees, enjoy an on-site dry cleaning service, on-site car wash and oil change, as well as an on-site salon service. Having all these extras handy can really improve your work-life balance, which might as well be unheard of in the big consultancy company Accenture. You can find info all over the net about the absence of work-life balance at Accenture due to the long hours and nil pay increase for employees. It has even been even said that Accenture faked positive employee reviews on Glassdoor! Thanks to our five years of experience in the apparel-printing industry, we are able to offer a service catered towards the needs of modern start-ups. Printsome’s T-Shirt printing services are perfect for making souvenirs, merchandise and staff uniforms, among many other possibilities.